This is not a post about to how to install mysqlshell or enable the X plugin. It should be already installed. Follow the first link if instructions are needed. The idea is to show some of the things that can be done from the shell. Don’t expect the best visualizations or a perfectly tuned Supervised Learning algorithm. WHERE employees.emp_no = salaries.emp_no and employees.emp_no = dept_emp.emp_no and dept_emp.to_date="9999-01-01"
It only includes people currently working at the company. Now that the data is ready, let’s start with mysqlshell. Everything that follows was done directly from the shell itself. Those statistics already give us good information. 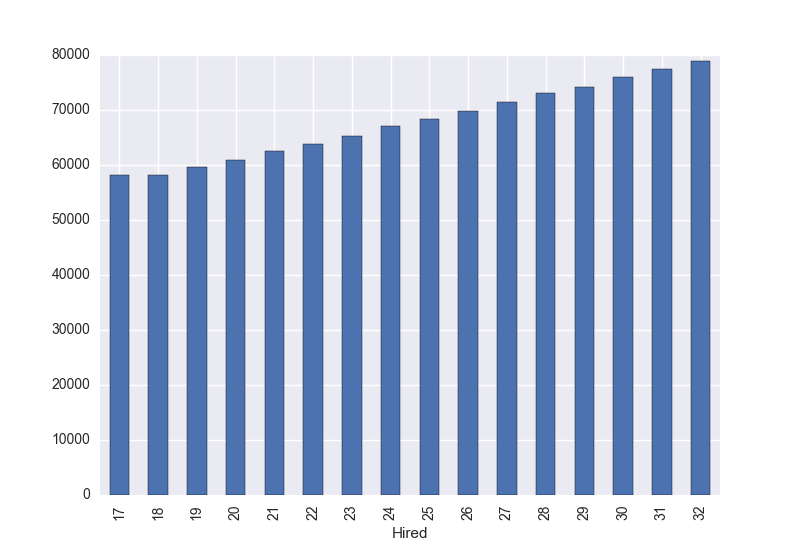 The employees range from 52 to 65, having an average of 59. They have been working at the company for 27 years on average with a salary of 72041. But let’s forget about numbers. The human brain works much better and faster interpreting graphs than reading a table full of numbers. Let’s create some graphs and see if we can find any relationship. Now everything is more clear. There is no real relationship between gender and salary (yay!) or between age and salary. Seems that the average salary is related to the years that an employee has been working at the company, It also shows some differences depending on the department he/she belongs to. 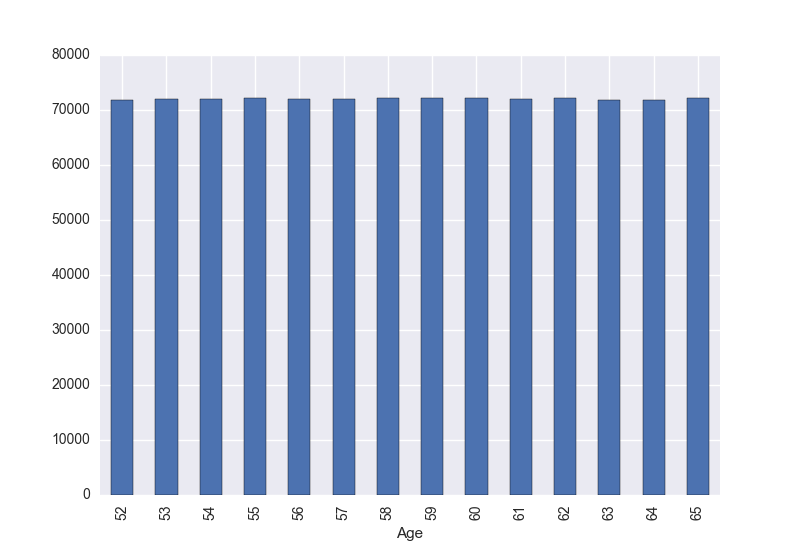 Up to this point we have been using matplotlib, Pandas and NumPy to investigate and create graphs from the data stored in MySQL. Everything is from the shell itself. Amazing, eh? 🙂 Now let’s take a step forward. We are going to use machine learning so our MySQL client is not only able to read the data already stored, but also predict a salary. 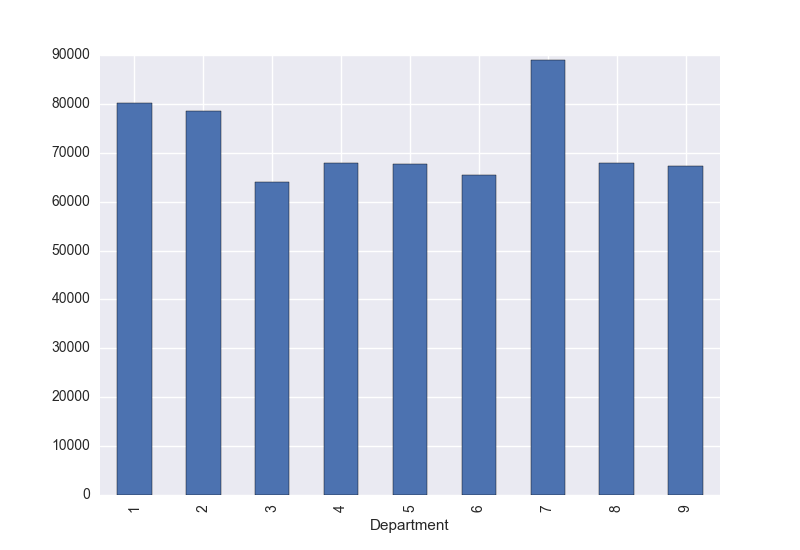 Decision Tree Regression from SciKit Learn is the supervised learning algorithm we’ll use. Remember, everything is still from the shell! What do you think the salary of a person that has been working 25 years at the company, currently in department number 2, should be? It predicts that the employee should have a salary of 75204. A person working there for 25 years, but in department number 7, should have a greater salary (based on the averages we saw before). What does our Decision Tree say? Now MySQL can both read data we already know, and it can also predict it! 🙂 mysqlshell is a very powerful tool that can be used to help us in our data analysis tasks. 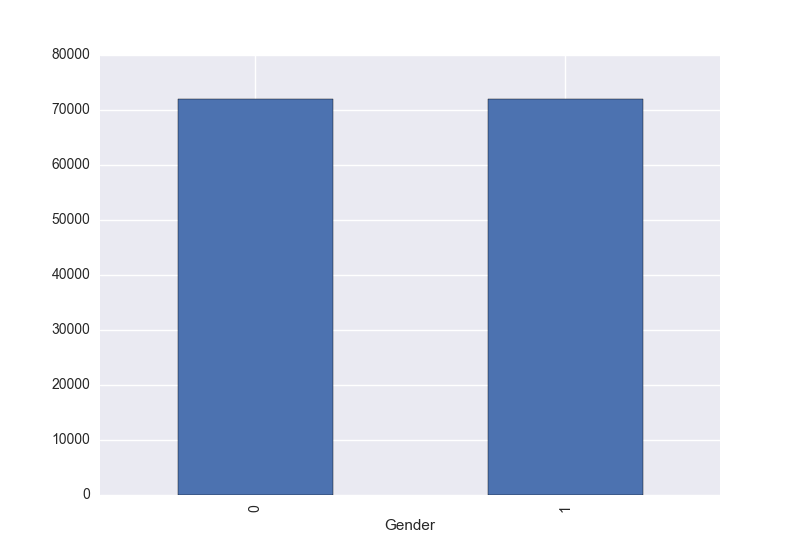 We can calculate statistics, visualize graphs, use machine learning, etc. There are many things you might want to do with your data without leaving the MySQL Shell. Wonderful article Miguel ! Thank you for writing and sharing this. How do you get the “employees” database “loaded” in mysql-py? Wanted to read more about mysql-py and mysql-js, any tutorials and good reads? Excellent article. I have been trying to work with the examples, but it has been impossible for me to get MySQLsh and Python 2.7.10. Have tried on Windows 10, and OSX without any luck. Numpy seems to be the problem… and pandas. Works fine on Python, but not Mysqlsh in Python mode. It has been impossible to find anything about it for me with Google.